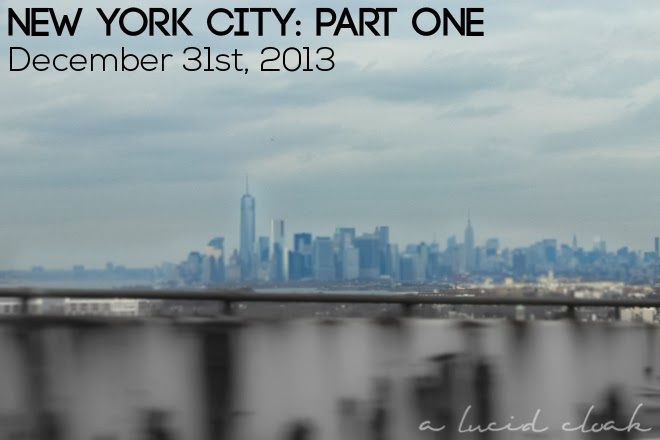 Welcome to my three part blog series on my recent road trip to New York City! I will be posting photos, stories, tips, ramblings, and the usual things you might expect from a travel post. A few weeks ago, my boyfriend and I & my best friend and her boyfriend all departed to The Big Apple (I seriously have to look up why it's called that). I was super cautious about driving, but my dad (a former truck driver who has memorized every single road in the States) alleviated my fears by mapping out the cheapest way to reach NYC. We avoided a bunch of toll roads that would have made us dish out $50 one way. Thanks, Daddy! 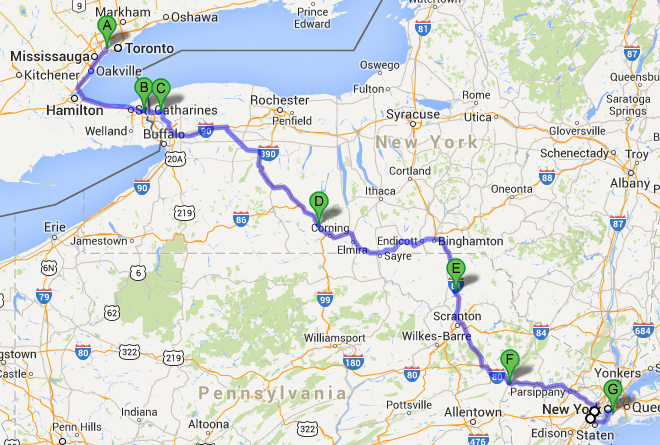 Google Maps says the drive takes 8 hours, but that's not including traffic, border wait times, or pit stops. We wanted to get into the city as early as possible, so we departed Toronto at the insanely early time of 4 am (gross). I think we exaggerated a bit too much because we arrived a mere 10 hours later... but hey, better safe than sorry! I rented our apartment through airbnb, an amazing service one of my friends introduced me to. This proved to be a phenomenal option since we booked so late and most of the hotels were full for New Year's Eve. It was also much more budget friendly, averaging out to $200 a night for the whole apartment rather than the exorbitant prices for just a small hotel room. Our apartment was located in the lovely district of Clinton Hill in Brooklyn. It was only a few minutes from the C line of the subway, which took us right into downtown in 30 minutes. Our apartment host recommended we go to a little restaurant around the corner if we were hungry... and we were! All that driving and fast food stops really make you crave some "real" food. 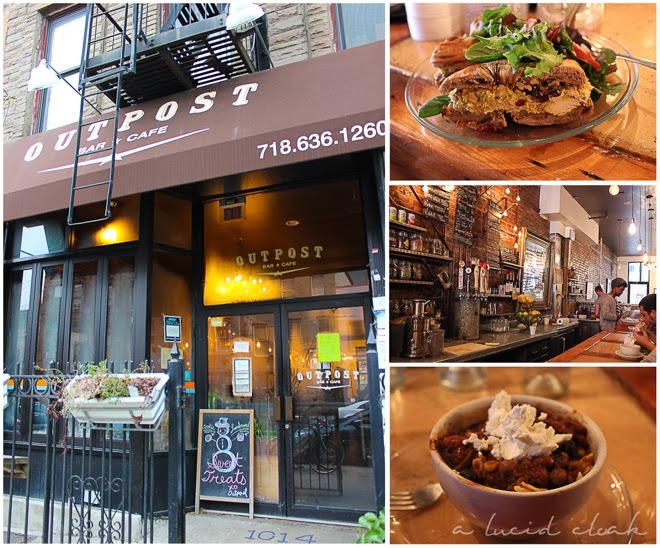 The place she recommended was Outpost, a small and cozy hipster mecca. The first time we walked in, we couldn't find seats so we unanimously decided to walk around the area and find an alternative...except that there was no viable alternative. The surrounding area quickly dissolved into auto and mechanic shops. So, back to Outpost we went. There were seats this time! The food was absolutely delicious. I had the chilli, and for the low price of around $7, I got a ginormous and delicious bowl. Yum. On to the New Year's Eve Festivities! My initial plan was for all of us to make it out to Times Square, but after reading the suggestions of actual New Yorkers, I was horrified. Apparently the lineup starts at 6am, and once you are inside of Times Square, there is no way you can walk out and back in. This means no food, drink, alcohol, or moving for however long you are there. That, coupled with Miley Cyrus's performance announcement, made me completely change my mind. It was only a short train ride north to Williamsburg. 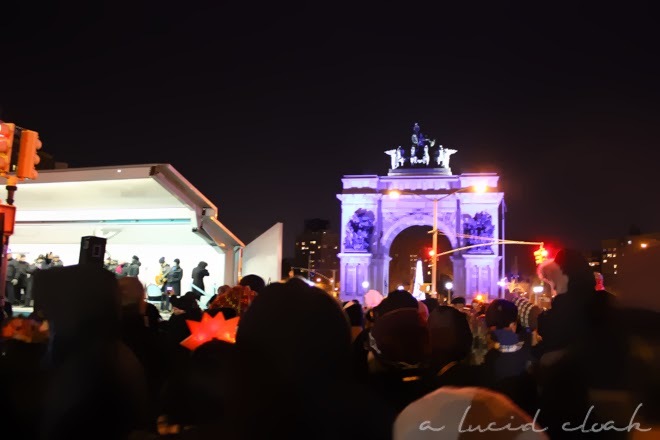 I really wanted to see the lights of Manhattan at night, and even though it was freezing, it was magical as well. 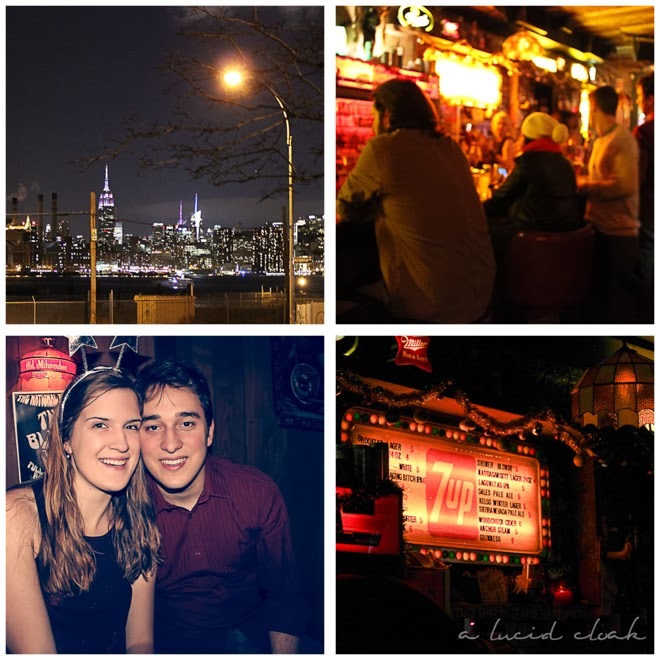 We stopped at a local bar called Skinny Dennis for some live music, hot drinks, beer, and FREE hot roasted peanuts. Amazing! 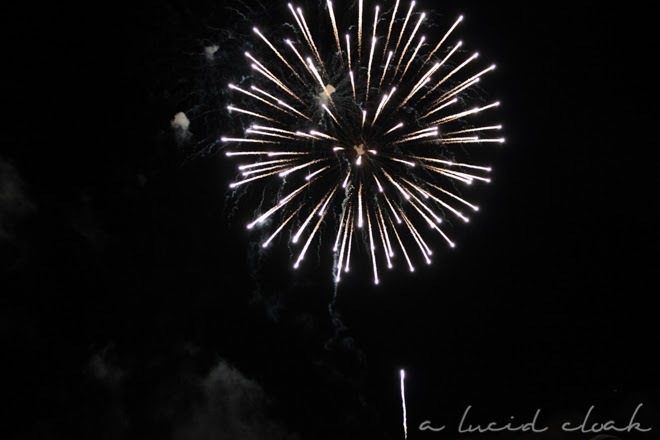 Our next stop was to see the fireworks at Prospect Park, the largest (I think) park in Brooklyn. The representative of the Borough was there along with musical guests, but we missed most of that because of all the fun we were having at Dennis's. We made it just in time to watch the wonderful fireworks. The weather forecast said it would be a slightly cool -2 Celsius... I have never felt a colder -2 in my life! It was freezing outside, and I was wearing my alpaca sweater and Spyder ski jacket. It wasn't even windy, either. I think they just messed up the forecast big time. After the fireworks, the four of us ran/walked to the closest bar on our way back home. We had a hilarious waiter who called us "Cute Canadians" and was pretty much the most typical Brooklynite we encountered on our trip. My next post is on Day Two of our trip, covering Fifth Avenue, Central Park, and the best food place in Manhattan!